Now is the time to walk into your destiny! Do you feel stuck and unclear on how to move forward after a separation or divorce? This Masterclass is for YOU!! · Gain clarity on where you are emotionally on your divorce journey. Learn to let go of the pain of the past, to pursue the future that you desire. · Identify your losses and discover how to shift those losses into gains for the next chapter of your life. · Identify emotional blocks and learn to move beyond them. · Discover your true individual core values and beliefs that you may have lost during your marriage and learn how to make them a valid part of your life. · Learn how to be assertive and create and maintain boundaries to take your power back in your life. · Identify your gifts, talents and passions and the industry where you can utilize them for purpose and profitability. · Walk into your destiny. You will receive a follow-up email with all class specifics. In the Divorce to Destiny Masterclass, I found purpose also. I know what I want to do with my life, and that it is achievable. I am taking steps toward my purpose goals, and researching options on achieving those. I'm also learning, studying in my area of purpose. Thank you so much for all the knowledge, challenges, help, and resources that have made this all possible. 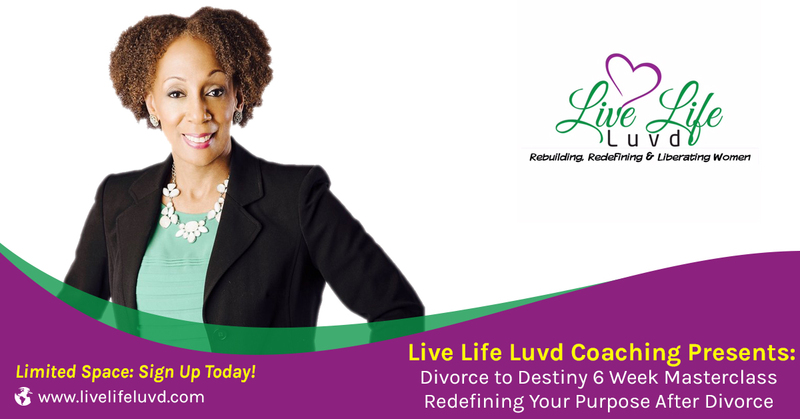 It's a wonderful class and I would highly recommend it to anyone stuck in the process of navigating forward from Divorce to Destiny. "I met Andrea Stuckey as she shared her experience as a speaker at an event. From that point, I've followed her via social media had consultations with her as well. Andrea's coaching and brand truly brought light, and awareness that transformed my apparent hopeless situation. She provided tools, strategies, and advice that delivered clarity and help me see my greatness throughout it all. I appreciate her honesty, wisdom, and passion for the betterment of the total situation."